Designed and presented by the UK’s leading army recruitment trainers and resource publisher. Rated 5-stars on TrustPilot by over 160 attendees! This course is specifically designed for candidates wishing to become an Army Officer. The 1-Day Army Officer course will provide expert tuition and insightful guidance through the challenging process of becoming an Army Officer, including how to pass the Army Officer Selection Board (AOSB). If you want to become an Army Officer, you will need to undergo and pass a series of assessments, tests and interviews. To begin with, you will need to attend an interview known as the Army Careers Advisor (ACA) or ‘filter’ (AFCO) Interview, whereby you will be assessed on whether or not you make a suitable candidate to become an Army Officer. 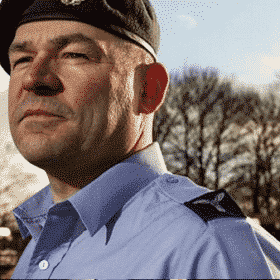 During this interview, you will need to convey the key qualities required for an aspiring Officer, and demonstrate high levels of skill, determination and knowledge mandatory for the Armed Forces. This is the opportunity for you to find out not only if you make a suitable candidate for the Army, but whether or not a career in the Army is right for you. If you meet the minimum eligibility requirements, and you pass the medical check, you will then be given an information pack and details on how to apply to become an Army Officer, and you will then be put forward to attend the Army Selection Briefing Board. In order to become an Army Officer you will need to undergo, and pass two boards: the AOSB Briefing and the Main AOSB Board. The Army Officer Selection Board (AOSB) Briefing is ultimately used to determine whether life in the Army is right for you. It is also an opportunity for you to prepare for the AOSB Main Board, which you will need to complete and pass in order to become a successful Army Officer. Each of these four key skills are assessed for a particular reason. Within the Armed Forces comes great responsibility. It is your job to maintain and develop these skills in order to protect and safeguard your force and conduct your work in an effective, quick and safe manner. During your Briefing, you will be able to experience many of the areas that will be evaluated during the Main Board and so, it is important to put your best efforts forward and really make the most out of your AOSB Briefing. CATEGORY 2 – You will be invited to attend the Main Board after said period of time, during which you will need to work on your weaker areas discussed by the assessor. CATEGORY 3 – the Board believes that you will fail if you attend the Main Board, but you can attend if you wish to do so. CATEGORY 4 – unsuitable for the Main Board. This exclusive course will teach you the best way to prepare for the selection process, and thus better your chances of being successful during both stages of the selection process. Your aim should be to be placed in Category 1 or 2 at the very least. You will normally be invited back within 8 weeks of completing the Briefing. The briefing stage of the selection process is by no means an account of what to expect at the Main Board. You will be required to undergo a lot more tests and assessments, under pressurised situations. During the AOSB Main Board, you will be invited back to Westbury where you will complete your selection process. You will be divided up into groups of approximately 8 people for the duration of the assessment. These groups will consist of both men and women of a variety of different ages. During the 1-day course, it will demonstrate the particular skills and qualities that the assessors will be looking for, and thus put your performance ahead of others. During the Main Board selection process, you will be required to undertake a series of assessments in order to evaluate your skills, qualities and performance, and determine whether you are rightly suitable for a job in the Armed Forces. To help you prepare for the AOSB Main Board and the challenges that you will face, our intensive 1-day course will provide you with clear, detailed and insightful information and tips designed to improve your scores at the Main AOSB Board. How you treat each member of your group will be assessed, and so it is important to understand what the assessors are looking out for, and what you need to avoid. You will also be assessed on your attitude, which means being arrogant, loud, dismissive or ‘cocky’, will demonstrate a negative attitude towards discipline and ultimately affect your score. Exclusive training to improve your skills and better your chances to become an Army Officer. In-depth explanations regarding the entire process of becoming an Army Officer. Detailed understanding of the assessable qualities that assessors look out for and how to better you chances and increase your scores. Comprehensive tutorials in relation to the assessments and tests that are compulsory to become an Army Officer. Insightful tips on how to behave at the AOSB Board, what to expect, what to avoid, what to include, and a general overview of what is required from a successful applicant. Sample tests and assessments for you to try out and ask questions. How to pass the planning exercises, group exercises, aptitude testing and the interview stages successfully. Useful tips and advice and sample responses and answers. Dave’s knowledge and expertise regarding assessment centres in general is up there with the very best. His expertise is acknowledged and as a result he has been utilised not just by our customers for various roles they wish to secure but also by universities to help increase their students’ employability prospects. He has also provided training to help charities reward and assist their staff and volunteers. 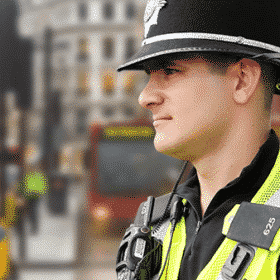 And he has also worked for a large CKP provider to ensure that their students’ outlay in both money and time had the best chance of reward by becoming a police officer. Dave has helped 100s of people throughout their preparation into a new career. Dave can help you be what you want to be. This 1-day course is one of the leading courses for army officers and perfect for anyone who has strong and motivated aspirations to become a successful Army Officer. Guaranteed to improve your success, this course is run by a qualified tutor who will prepare you fully for the challenging process of becoming an Army Officer. Sample questions and answers that are likely to be asked. Top tips and advice on how to work through the different aptitude tests. Using them to your advantage during each stage of the application process.